Although initiated formally in the late 70s by Governor Hiramatsu , the idea of the OVOP-type movement was very much deep rooted in at least some parts of the prefecture, well before its formal commencement. After WWII, Japan faced a serious food shortage since large numbers of people, especially the young , began to migrate from rural areas to the big urban centers, thereby creating a labor shortage for the rural farming. Facing this problem, the Ministry of Agriculture started a campaign to boost agricultural production. The campaign was pursued all over Japan simultaneously, but it was not the optimal solution for all regions. In Oyama, a hilly Japanese town with only 3870 people, the availability of arable land is scarce because of its varying contours, so simple agriculture, concentrating only on rice cultivation was not able to generate sufficient income to the local people. Facing this kind of problem, Mr. Yahata- the then Mayor of Oyama took a bold initiative in 1961. He decided to promote agricultural tree crops rather than simple rice production and argued strongly for planting Ume, the Japanese plum, which he found to be very suitable for cultivation in hilly areas like Oyama. But the older genera¬tion people, not being accustomed to this kind of cultivation were opposed. Also they were nervous of the risks of cultivating a new product. To convince them Mr. Yahata had to show the advantage of growing Ume instead of rice. To minimize the risk of producing Ume, he introduced the Kibutz system - a community based initiative where the risks and gains are shared by the community as a whole - an approach he had learnt from Israel. It became a role model in his movement to encourage the planting of Ume. Over a period of three years (1961-64) the town spent 70% of its budget in introducing and cultivating plum and chestnut trees and providing the necessary infrastructure, technol¬ogies and materials. Additionally the town paid salaries to the farmers who decided to grow plums and chestnuts because the first profits were only expected after four years. The farmers did not have to pay back any of these subsidies. The town paid 100 per cent of the seedling costs and also 100% of the costs of fertilizers and pesticides. In the absence of support from the older generation Mr. Yahata tried to convince younger people of the value of his proposals. At that time the young, in particular, were very interested in visiting the USA. So he introduced a new slogan "Plant plums and go to Hawaii". This really worked to engage young people in plum planting activities. Some young people were later to visit Hawaii after accumulating enough money from their farming activities. Young people also visited Israel and some other countries to learn about modem agriculture technol¬ogy. People, who returned from abroad and accumulated money by farming, helped other young people who aspired to follow in their footsteps and seek agricultural knowledge overseas. So, this was the first organized community movement in Oita and the very root of the OVOP type movement because it stimulated community members to divert their production bases from a generalized rice production to the cultivation of more specialized products suitable for their locality. Market research for products is always a top priority. The main distribution channels for Japanese OVOP are the supermarkets In Tokiwa Mall, one of the biggest supermarket chains in Japan, products from the OVOP movement of Oyama cooperatives are presented in a special area, called Konohana Garten. They are delivered to the supermarket everyday by farmers from cooperatives. With fresh products such as vegetables, if there are some leftovers, the cooperatives will collect it in their next delivery. 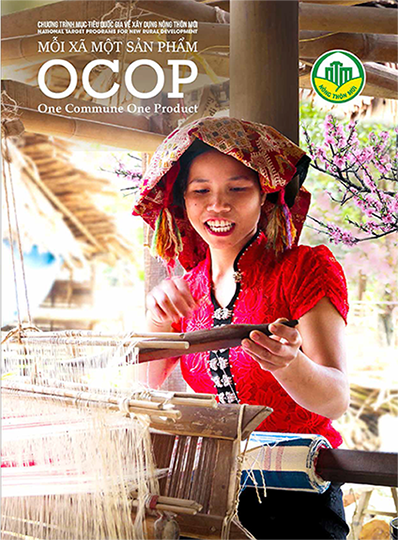 The marketing methods are impressive – heads of Oyama cooperatives do the market research and arrange to deliver their products to targeted supermarkets. In the case of Konohana Garten, the prices are set by the cooperatives. They pay the supermarket 8% for space rental and sales costs but in return they take 12% for the expense of market research, delivery services, and 80% of the profit is for farmers. In fact, the 8% hardly covers the space rental and sales However, thanks to the reputation for quality of OVOP products , there is a degree of cross-selling as customers also buy other products in the supermarkets. Its not just about presenting their products in Tokiwa as Oyama cooperatives opened Konohana Garten restaurant in the supermarket to serve local cuisine to the customers. Sales are well organized through 16 stop stations in Oita province and 52 local stores. 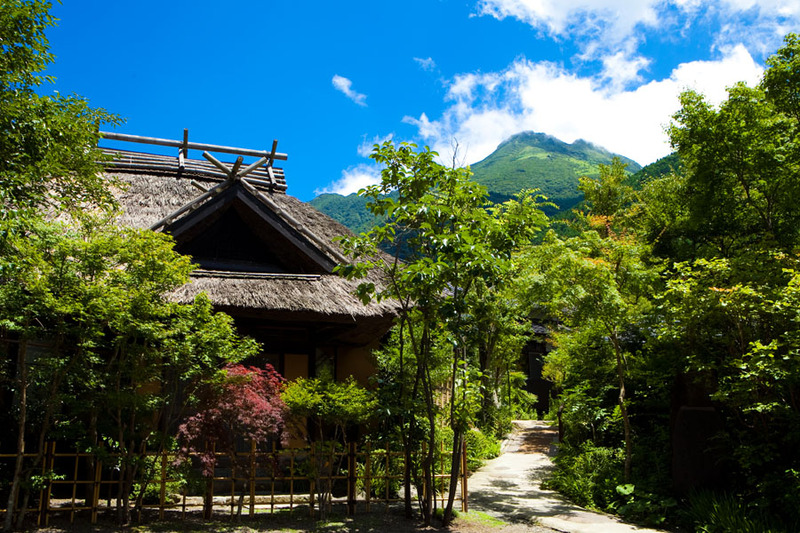 The OVOP movement sprang out of Oyama and nowadays it has become a well-known place for tourists with its special local characteristics and diversity in products, for local, national and global markets.